It has been almost 3 months since I hurt my shoulder, and finally, I’m starting my training program again. I’ve been slowly getting back into climbing, trying to strengthen my shoulder to prevent re-injury. 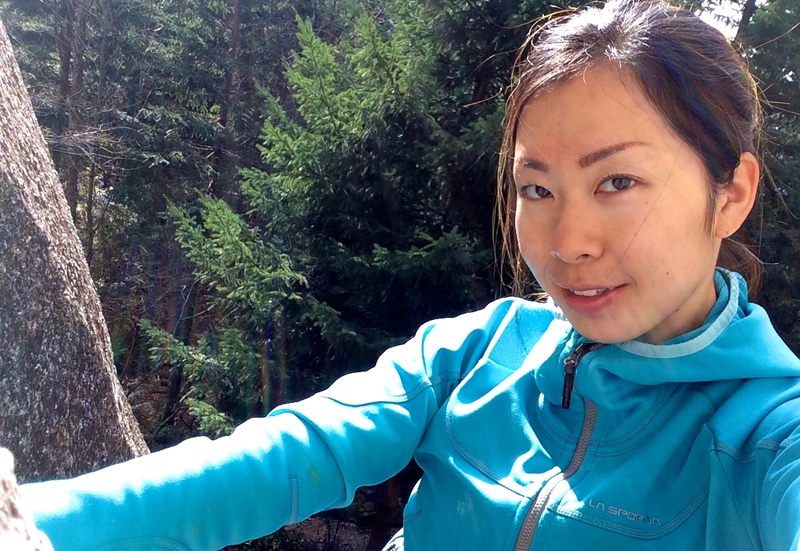 I started with climbing easier grades outside, easy enough that I won’t feel tensions in my shoulders, as well as indoor, climbing only on a vertical wall. As I was getting back into climbing, I caught a bad cold and was fighting it for on and off for 3 weeks. This put me behind on my rehabilitation schedule, but now most of my shoulder pain is gone. I can feel that the joint is not strong and I still need to be careful climbing, but I’m so stoked I can climb again. My shoulder injury was caused by a combination of shortened shoulder muscles and a mis-alignment of my shoulders. I wasn’t familiar with what “shortened muscles” are, but it means that the muscles are too tight and loosing their flexibility. Climbers often get tight muscles or knots and these are the shortened muscles. My trainer also mentioned that shortened muscles generates less power. The muscles are working at a less effective state so it make sense that they don’t generate as much power as they might have. Since I didn’t tear any muscles or nerves, I thought I would be back into climbing within a few weeks. This injury took much longer to heal, and I was also surprised at how much pain I had just from tightened muscles. This past 3 months, I’ve tried massage therapy, yoga classes, IMS (Intramuscular Stimulation) treatments, as well as heating & icing and stretching everyday. I’m sure everything contributed to my recovery, but out of all the things I’ve tried, I found IMS treatments the most effective for my injury recovery. IMS works well on releasing tight shortened muscles. It uses needles similar to acupuncture, but the insertions of needles are brief and much deeper, reaching into muscles. When the needle reaches shortened muscle, the muscle twitches. This is the sign of a muscle releasing the tension. IMS treatment is physically tiring. My muscles were numb for a few hours after the treatment and I was exhausted after each treatment session, but it worked so well at relaxing my muscles and getting rid of the knots in my muscles. During my treatments, my physiotherapist also took a look at my shoulder alignment and how my shoulders are moving. She told me my shoulders are not sitting right in the shoulder sockets. Climbers often have a hunched back, and I was always being careful with my posture by keeping my back straight and pulling my shoulders back. According to her, my conscious effort to bring my shoulders back caused them to sit improperly in their sockets. I stopped pulling my shoulders back and also started to work on balancing other shoulder muscle groups, especially strengthening the serratus anterior muscles which are located on the sides of the chest. Finally done with most of recovery (and being sick), I started my new training program this week. This program includes many exercises with dumbbells, making sure my shoulder is strong enough before I start doing pull ups and climbing on overhangs again. I’ll be adding more weights as I build my shoulder joint strength. From now on, the rest of my training program will include some weight lifting since this is an effective way of developing specific muscle groups. While I was injured, I also focused on improving my nutrition intake during my training. I eat a lot of vegetables (my favorite is kale), fruits, nuts and some meats and fish. I consider my eating habits as healthy, but I felt like I wasn’t getting the nutritions I needed to keep up with my training program. I’m not a big fun of protein powders, but I started to take a nutritional shake mix as well as a recovery accelerator mix to help supply more nutrition. I also added ground flax seeds (because flax seeds cannot be absorbed with their shells on) and hemp seeds to my diet. Flax seed contains high level of Omega 3 which helps body burn fat. Fat is a better source of fuel for endurance activities. Hemp seeds are high in protein and also rich in nutrients. I don’t eat large amount of meats, so I thought that hemp seeds would help with my protein intake. I’m still learning about training and nutrition and figuring out what works for me, but for now, I’m just happy to be back climbing and training again.